How Do You Improve Gum Health? When you think of oral care, many people only think of their teeth. While keeping your teeth free of decay and other concerns is important, don’t forget your gums. Keeping them free of periodontal disease can help protect your smile from uncomfortable symptoms, as well as adult tooth loss. How do you improve and maintain gum health? True or False: You should brush and floss daily. True or False: Smoking endangers gum health. True or False: You shouldn’t ignore changes to your gums. True or False: A dental cleaning is vital for your oral health. True. When bacteria break down food particles in your mouth, the process creates a biofilm known as plaque, Once plaque coats your teeth, the buildup can irritate the gums, leading to harmful inflammation, or gingivitis. However, by brushing and especially flossing your teeth you can reduce the severity of plaque buildup in between dental cleanings. True. Smoking and tobacco use can worsen gingival inflammation, increasing the risk of advanced gum disease, also known as periodontitis. 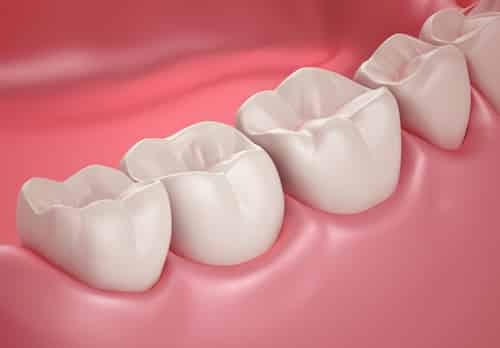 With periodontitis, the connective tissue between your gums and teeth dissolve, leading to a greater risk of adult tooth loss. True. If you notice your gums appear red, feel sore, or bleed when you brush or floss, then talk to your periodontist. This could be a warning sign of inflammation. Treating the issue early can help prevent the development of gum disease. True. A cleaning is the only way to completely remove plaque and tartar from your teeth. You should have one every six months. However, if you already have inflammation or gum disease, then you may need a deep cleaning, which not only removes plaque from your teeth, but from the tooth surfaces under the gums as well.